The 6x magnification and a fully multicoated lens system delivers optimized brightness, clarity, contrast and color fidelity so you can spot your target in dim light or brush. A simple-to-use and easy-to-read LED display gives you the information you need instantly. 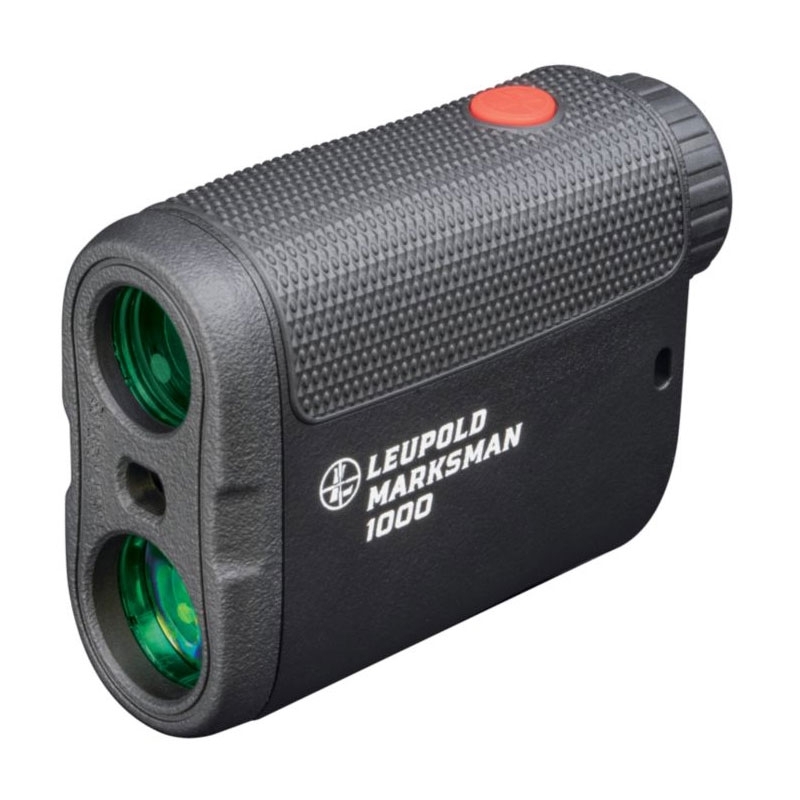 The Marksman 1000 Rangefinder gives uphill and downhill angle distances, line-of-sight distances, and has a scan mode. Ranges in yards or meters; maximum range: 1,000 yds. The lightweight, ergonomically designed polymer housing comes with a rubberized armor coating to provide a comfortable, nonslip grip and long-lasting durability. The Leupold Marksman 1000 Rangefinder is waterproof. Includes battery and Cordura® nylon case. Manufacturer's Electronics two-year warranty.